Remember the days when you simply watched a television commercial, maybe asked family and friends for opinions, and then drove off to make a purchase? Not anymore. Now you can turn to Google to find reviews from people all over the world – or, more importantly for local businesses like dealerships, in your backyard. With more buyers refining their purchasing decisions from the comforts of home, effectively using web-based tools and resources for e-commerce efforts is vital for business. According to SEO and reputation specialist and consulting firm BrightLocal’s 2015 Local Consumer Review Survey, 92% of consumers now read online reviews (vs. 88% in 2014). What are the benefits of online reviews? The increase of consumers who use reviews should be enough to sway most business-minded dealers to take full advantage. For those who need a little extra persuasion, benefits have also been linked to increased conversion rates and sales, according to ratings and reviews service Revoo. There are also considerable SEO benefits. For example, search engine spiders love regularly updated, unique content. Consumer reviews are a great source of this content. For dealership websites that use the same standard manufacturer descriptions and specifications, this user-generated content can be a huge differentiator for search results. What does this mean for dealerships? The good news is that Aptus Websites by Naked Lime and our Reputation Management service offer effective ways to post consumer reviews directly to dealerships’ websites. So the question is why are dealerships allowing as many as 92% of their potential car buyers to leave their own websites to find reviews? Those reviews should feature prominently on your site for SEO value, improved conversion rates, and the benefits reaped from customer trust and satisfaction. 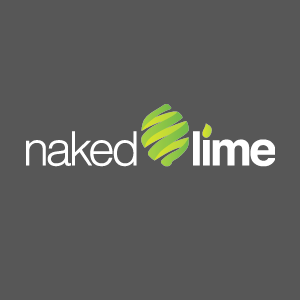 To talk about how your website and reputation management can drive results for your dealership, call 855.NKD.LIME or email info@nakedlime.com.